Home > Hypnotherapy > What is Hypnotherapy? Hypnotherapy is a psychological treatment that makes use of a variety of therapeutic techniques, with the client in a state of hypnosis in order to effect beneficial change and resolution of the client's problem. The mind has often been compared to a computer. A computer can perform many different functions, but the programming that makes that possible is invisible to you. Every time you use one of those functions, you can expect that the computer will do exactly the same thing each time. So it is with the human mind, we do many things automatically. That includes things you really don't want, such as, what we might call "bad habits" or inappropriate fear. You may consciously try to stop doing something, or change your behaviour in a particular situation but find it difficult to do so. That's because, as with the computer, the "programming" behind the way you do things is out of your conscious awareness. It is located at an unconscious level. The beauty of hypnotherapy is that working with the client in a hypnotic state (also known as a hypnotic trance); both client and therapist can communicate directly with the unconscious mind to make the desired changes. Hypnotherapy is considered to be a brief therapy. At your initial consultation, the hypnotherapist will want to know what your goals are, and will devise a treatment plan to help you achieve them in the most direct way possible. They will also ask you many other things about yourself. The more the therapist is able to individualise your treatment, the more effective it is likely to be. There are many techniques a hypnotherapist can use to help you. In hypnotherapy, great use is made of the power of the imagination. For example, a person wanting to lose weight might as part of the treatment be encouraged to see themselves slimmer, wearing an article of clothing they love, looking radiant. They might then be encouraged to practise seeing that image on a regular basis. This is because we use our imaginations to create our reality. Sometimes, the therapist might tell a story that presents ideas for solutions to a client's issue. At other times, the therapist might want to use a regression technique to uncover the root of a problem. Unique to hypnotherapy is the hypnotic suggestion. This a statement constructed and spoken in a particular way to encourage your unconscious mind to make the changes you want. During the course of each session, the hypnotherapist will make many of these hypnotic suggestions. There are many ways in which a hypnotherapist can take you into a hypnotic state. 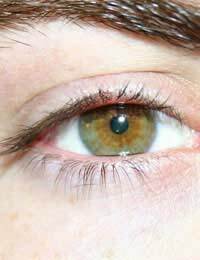 They might ask you to focus on a spot on the wall whilst suggesting that your eyes are feeling heavy and wanting to close. They might encourage you to feel relaxation spreading through your body, or imagine yourself in a peaceful, tranquil place. Frequently, the hypnotherapist will use countdown techniques or suggest you imagine yourself gliding down a staircase. The hypnotic state is usually characterised by feelings of relaxation and heaviness in the body, and heightened mental alertness and focus. It is important to know that when you are in a hypnotic state, you are always in control and cannot be made to do anything that is against your wishes. The applications of hypnotherapy are very wide, seemingly purely physical ailments can respond to hypnotherapy. This is because it in now recognised that the mind has an important bearing on the way the body functions. Several studies have now been done on the effectiveness of hypnotherapy on Irritable Bowel Syndrome for example and as a result, many doctors now refer these patients for treatment by hypnotherapy. Most people know that hypnotherapy is used for stopping smoking, dealing with phobias and weight loss. Generally however, any condition that is impacting on your ability to lead the life you want is likely treatable with hypnotherapy. There are some instances in which treatment by hypnotherapy is not advisable. These include psychotic conditions and some types of depressive illness. However, all hypnotherapists are trained to determine these situations which are few and far between. In the hands of a trained professional, hypnotherapy can be a wonderfully powerful and speedy way to bring relief from all kinds of conditions. If you are at all in doubt as to whether hypnotherapy can help you, talk to a hypnotherapist.